When looking for a Ducati Hypermotard for sale, you might want to consider a couple of things. Pricing, the maintenance and the condition the pre-owned motorcycle are just some of the aspects to consider when buying a ducati hypermotard. eBay is often a good place to start looking, but scroll down for our full guide on what to think about before buying a ducati motorcycle. It requires some kind of audacity to term something as motard, leave alone hypermotard. However, the Ducati Hypermotard has been called so by the Italian motorcycle manufacturer since 2007 and has lived to the true meaning of that name. The Hypermotard is a dirtbike-like, lightweight, powerful machine, yet it’s rather young compared to other Ducati lineups. 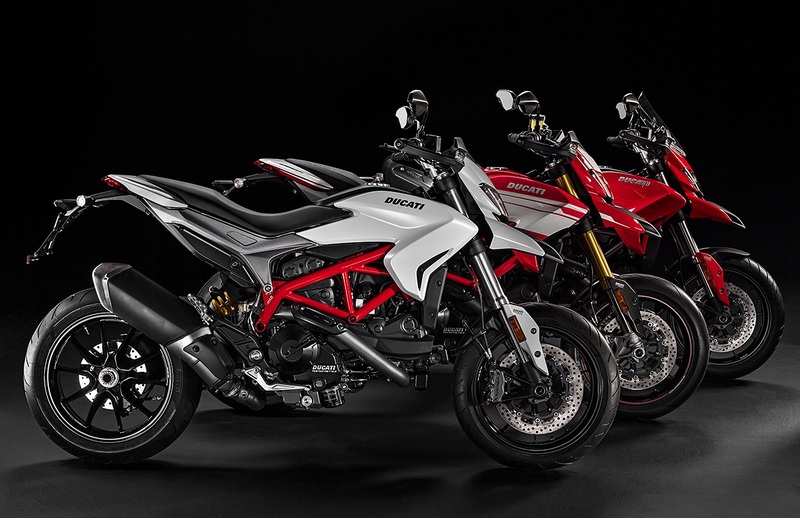 Nevertheless, the Hypermotard and its offspring, the Hyperstrada and the Hypermotard SP, have turned into fan favorites largely due to their perfect blending of the elusive agility found in dirtbikes with the sporty characteristics and power associated with sports bikes. Ducati made the Hypermotard for a wide range of market and it’s usable by young riders seeking to add some experience riding on a two wheeler and it still gives a lot of fun and enjoyment to the experienced rider. It is also an excellent choice for those who are starting out but want to do it in some style. Any Ducati motorcycle is a vehicle that will give you true luxury and you can get a pretty good deal by purchasing a pre-owned Ducati bike. 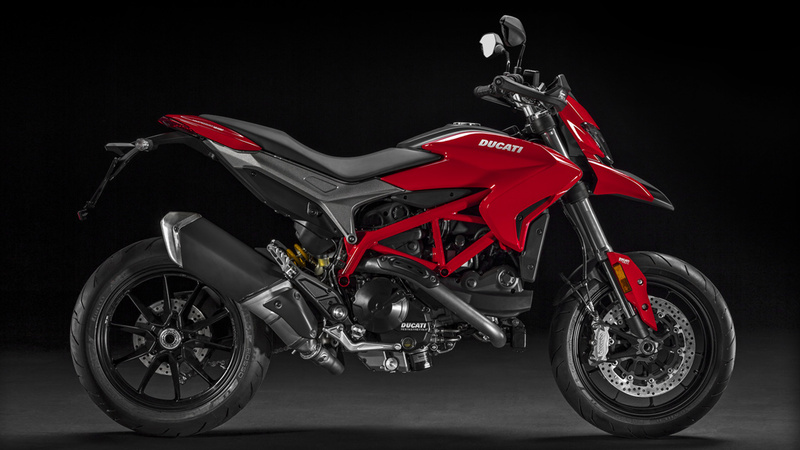 To make certain that you make a smart choice buying a used Ducati Hypermotard motorcycle, there are several important considerations that you need to work through prior to settling to make this considerable investment. It is a well-known fact that a Ducati Hypermotard, and any other Ducati motorcycle for that matter, is more costly to maintain than a regular’ bike. It is a highly attractive, speedy and a high-performance machine that is loved all over the world. However, it needs great care and maintenance to continue performing at the highest level for a long time. You should factor in maintenance costs when deciding to purchase a Ducati Hypermotard. Checking the kind and the state of tires attached to a Ducati Hyper that is advertised for sale will give you a clear picture of how the bike was used in the past. If there’s consistent tread at the middle of the tires, possibly the bike was mainly used on highways, probably to get to and from work or for long rides during weekends. Tires with flat treads at the edges may point to a bike that was used for fast racing on tracks. Many Ducatista report the rusting of their bikes’ fuel tanks. However, this isn’t a problem with the manufacturing process, but rather, an issue concerning the maintenance and care accorded to the bike by the owner. You can use a flashlight to check the fuel tank’s interior, and what you’ll see is in most cases, a dependable indicator of the condition of the motorbike. Maintenance reports or records act as proof that the Ducati motorbike you want to buy has been duly inspected, serviced or repaired after a given period of time. When buying a pre-owned Ducati Hypermotard, the seller should furnish you with copies of the motorcycle’s service records. As a buyer, this will guarantee you that you don’t have a big task of rectifying a problem and that the bike has no serious electrical or mechanical issues that could stretch well into the future. Ducati Hypermotard’s design is very likeable, particularly the way the manufacturer has pulled off an unmistakable trademark look. With the seemingly dirtbike-inspired appearance, the Hypermotard looks more versatile than anything else produced by the Italian marque. Apart from that, the company also incorporated rear view mirrors in the bike, new indicators and headlights, as well as a redesigned and more streamlined body that makes the lineup even more reminiscent to its dirtbike origins. The instrument panel of the SP comes with LCD display for viewing all the information you want such as speed, mileage, time, ambient temperature, fuel consumption and engine coolant temperature. Ducati did very well to fit in some really well-designed equipment on the Hypermotard to make certain that its handling is worth its salt. The Trellis tubular steel frame used is sufficiently strong for riders to feel safe to ride the bike and navigate the roughest of corners with the agility offered by the frame. Nearly every part of the structure exudes confidence, including the Ohlins shock at the rear, the forged Marchesini aluminum wheels, the Bosch-Brembo braking mechanism and the Pirelli Diablo Supercorsa tires. The SP is powered by Ducati’s new 821cc Testastretta engine producing 110 horsepower and an incredible torque of 65.7 pound-feet. These are really impressive numbers, and they give you the power to do whatever you want with the bike. The Hypermotard comes with three riding modes – wet, sport and race – and each one has its own feature-set. For instance, the wet mode is the least powerful of the three modes as it carries 75 horsepower and a progressive low torque. The race mode is the most powerful, coming with high torque numbers and a 110 horsepower that is also packed by the sport mode, although the later has progressive medium torque. Clearly, Ducati is very proud of what it is able to produce and the price tells it all. A new Hypermotard SP is priced at about $15,000. Each unit is accompanied by a two-year warranty of unlimited mileage and suggested maintenance service intervals being 12 months or 9,000 miles and a valve check when the bike hits 18,000 miles. The simple fact that you’re considering buying a Ducati Hypermotard is a sign that you’re an engineering fan and what you want from your bike is performance and style that’s accorded by the Italian machines. Notably, this is a great time to get yourself an older Hypermotard as prices are seemingly low. Additionally, a bigger number of garages across the country have been authorized to carry out maintenance work on them and this is helping drive down the maintenance costs. There are also many people like you who are looking to own Ducatis, which means that you’ll be able to find many Ducati fans to ride with as soon as you’ve acquired the bike you’re searching for.